Miss me yet? It's okay if you do. But hey yall. Welcome back. Yes, it's another fashion post. I'm sorry but lately, I've been really focusing on fashion. So let me give you the tea on this outfit. Months ago when I was looking for the perfect birthday outfits I had in mind that I wanted to look different than your average birthday girl. Instead of wearing a dress or a skirt, I switched it up and went with trousers. 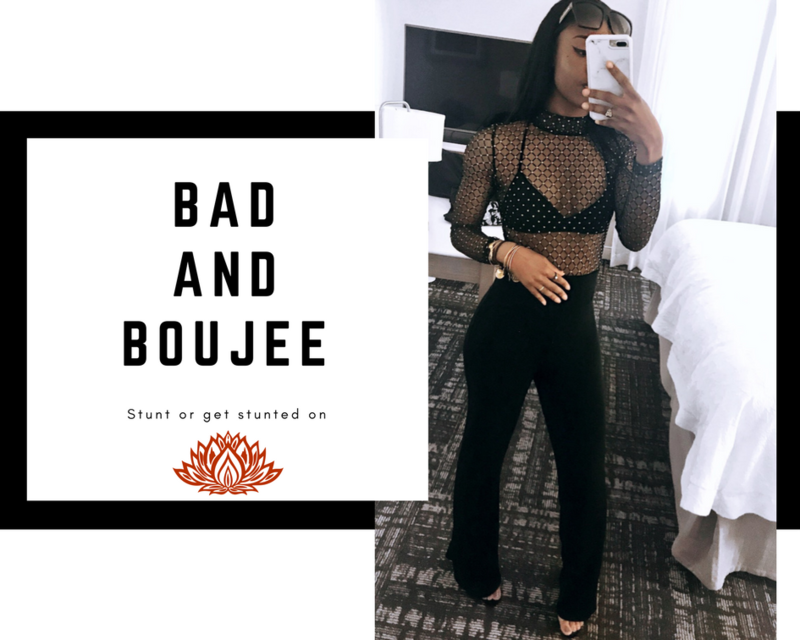 Lately, I've noticed a lot of style icons rocking pants and a bodysuit or bralette. Wearing black and gold is just my thing. This bodysuit is most definitely out of my comfort zone but I rocked it. My top and bottoms are from Pretty Little Thing. My clear and black perspex lace up heels are from Ego Official. 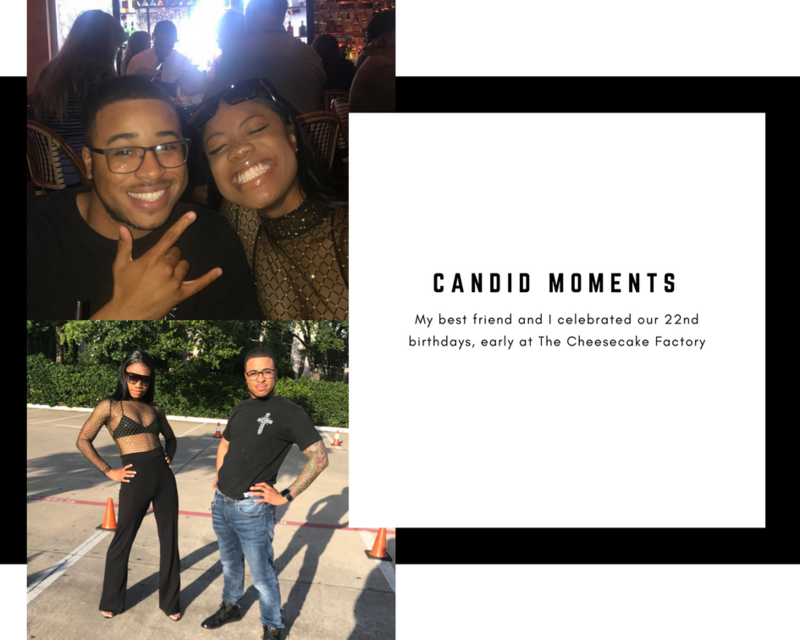 (direct links to each item if you click the store names ... just saying) Anyways I enjoyed the few days in Dallas with an amazing group of friends. Yall rock if you're reading this. Once again HAPPY EARLY BIRTHDAY to my best friend, my Bro, and my twin ROB. Wow, kudos to you for being able to pull an outfit like that off! I'd never be able to do that and you rocked it. Happy birthday! hahaha I try! Thank you for checking out my blog! Super cute outfit! Happy birthday!